The President of India, Shri Pranab Mukherjee has extended his greetings and felicitations to the Government and people of the Republic of Paraguay on the eve of their Independence Day (May 15, 2015). 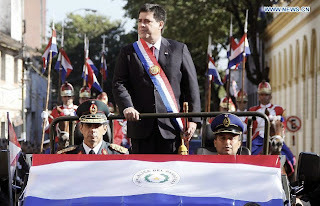 In his message to His Excellency Mr. Horacio Manuel Cartes Jara, the President of the Republic of Paraguay, the President has said, “On behalf of the Government and the people of India and on my own behalf, it gives me great pleasure to convey to you warm greetings and felicitations on the occasion of your Independence Day. India and Paraguay have always enjoyed warm and friendly relations. It is a matter of immense satisfaction to note that our mutually beneficial relationship continues to grow and diversify. I am confident that our relations will assume greater depth and substance in the years to come. I avail of this opportunity to extend to you my best wishes for your good health, happiness, well-being and the progress and prosperity of the people of Paraguay”. A group of 8 officer trainees of Indian Information Service (IIS) of 2014 batch called on the President of India, Shri Pranab Mukherjee today (May 14, 2015) at Rashtrapati Bhavan. Addressing the officer trainees, the President said the vast opportunity a career in Government offers them to serve the people is unlike any other. They embark into the service of the nation by functioning as a crucial link between the people and the Government through disseminating information on Government policies and programmes to the people. The President said that they will be serving in different organizations of the Ministry of Information & Broadcasting which are mandated to reach out to all sections of society through various means of communication. He said that whichever organization the officers may serve in during the course of their career, they should try to spotlight the issues affecting the weaker and marginalized sections of the society, particularly in rural areas. The President called upon them to harness the technological innovations in communication and media and always keep themselves updated. He stated that the discovery of internet, use of mobile phones for various activities, social and digital media has completely transformed the old tools of communication. He urged them to keep pace with technological innovations in order to be more effective in communicating the government policies and programmes to the people. These officer trainees are presently undergoing training at the Indian Institute of Mass Communication, New Delhi. The Prime Minister Shri Narendra Modi arrived in Xi’an, the capital of China’s Shaanxi Province, on the morning of May 14th, 2015. He was received by the Governor of Shaanxi Province Mr. Lou Qinjian, and Vice Foreign Minister of China Mr. Liu Zhenmin. The Prime Minister visited the Terracotta Warriors Museum, and observed the exhibits there in detail. The Prime Minister also visited the Daxingshan Temple in Xi’an. In the afternoon, the Prime Minister was received by the President of China, Mr. Xi Jinping, at the Shaanxi Guest House. The two leaders held restricted talks. The Prime Minister visited the Big Wild Goose Pagoda in Xi’an. He was received at the courtyard inside the main compound by President Xi. The Prime Minister presented a Bodhi Tree Sapling to the Chief Abbot of the Pagoda. The Prime Minister was given a Traditional Tang Dynasty welcome, at a ceremony at the South City Wall in Xi’an. This was followed by a Dinner Banquet hosted by President Xi Jinping, and a cultural performance at Pot City, South City Wall. The Prime Minister arrived in Beijing late in the evening. The Prime Minister today presented President Xi Jinping replicas of a stone casket of Buddhist relics and a stone statue of Buddha that were excavated from a 3rd -4th century AD stupa at Dev-ni-Mori – a site 80 kms east of Vadnagar, Gujarat – in 1957. In addition, the Prime Minister presented archaeological drawings of excavations at Vadnagar which was one of the places visited by the great Chinese traveller Xuanzang – also known as Hieun Tsang – around 641 AD. The site is referred to as Anandpur in Xuanzang’s writings and recent excavations point to the existence of a thriving Buddhist centre at Vadnagar way back in 2nd century AD. The Prime Minister visited the Giant Wild Goose Pagoda today where Xuanzang worked for years to translate the sutras that he brought to China from India. 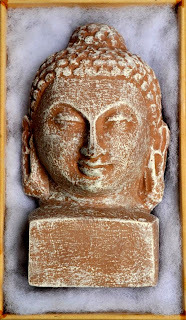 Recent excavations at Vadnagar have revealed a burnt brick structure that has been identified as a Buddhist monastery on the basis of its peculiar plan and the antiquities recovered from it, which include a red sandstone broken head of Buddha, stylistically datable to 2nd century AD, a votive tablet with foot impression, and a crescent-shaped stone tray depicting the scene of a monkey offering honey to Buddha. 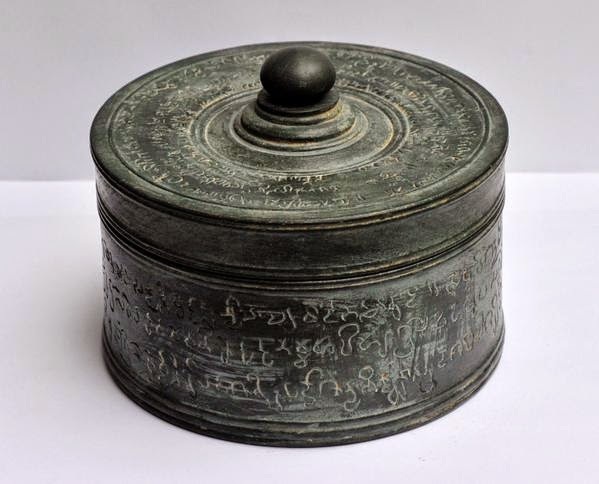 In his writings, Xuanzang had recorded that there were more than 1000 monks of the Sammitiya School or Little Vehicle in ten monasteries at Vadnagar, suggesting that Vadnagar was an important centre of Buddhist learning in western India during that period. In ancient times, Vadnagar was situated at a strategic location where two major ancient trade routes crossed each other. One of them was from central India to Sindh and to further northwest whiles the other from the port towns on the Gujarat coast to Rajasthan and north India. Therefore, it could have been a city of ample opportunities until these routes remained vibrant. The Prime Minister, Shri Narendra Modi has spoken to Afghanistan President, Mohammad Ashraf Ghani. "Spoke to President Aashraf Ghani and offered condolences on loss of lives due to the Kabul attack. We are one when it comes to fighting terror. President Aashraf Ghani expressed sadness on the unfortunate demise of Indian citizens in the attack in Kabul", the Prime Minister said. In an daredevil evacuation effort, Indian Army ALH Dhruv evacuated two French trekkers along with eight Nepalese citizens from a remote place Machhakhola of Gorkha district today. While returning to Pokhara, the same helicopter came via Singla village to evacuate a 82 year old lady who was seriously ill.
Ingrid and Julien were trekking in central Nepal's tranquil Gorkha district when a 7.9-magnitude quake struck on 25 April. After getting information passed through local journalist, they were rescued after 17 days by Army Aviation Dhruv helicopter flown by Lt Col Kaushik and Maj Danesh. They have been safely brought to Pokhara today. The ALH Dhruv helicopters have been drawn from Indian Army Aviation’s Squadrons. While, low clouds, poor visibility, strong winds and rainfall are posing a challenge to the operations, the pilots are finding penetrable patches in the weather to carry out their mission. Six IAF Medium Lift Helicopters (MLH) are positioned at Kathmandu. Two MLHs are positioned at Pokhara. The most affected areas where casualty evacuation were carried in the past few days are Chautara, Charkot, Dhading, Melum, Lukla, Aroghat, Dhunche, Trishuli, Ramchap, Barpak, Narayan Chor, Namchi Bazar and Tatopani. Till 0800 hrs today, 46 sorties were carried out by helicopters evacuating 114 people to safer places and 51 casualties were evacuated. The load carried by these helicopters till 0800hrs today was 07.25 tons. It would be pertinent to note that transport and helicopter aircraft are being utilised extensively for Human Assistance Disaster Relief (HADR) operations. The Indian Air Force, after proving its mettle in bringing succour to scores of people after Yemen evacuation this month, Jammu & Kashmir in September last year, has once again risen to the occasion and added a pioneering chapter in Disaster Relief by bringing relief to the needy and evacuate them from earthquake hit areas in Nepal. The Indian Air Force reaffirms its commitment towards Humanitarian Assistance and Disaster Relief Operations in support of the nation.